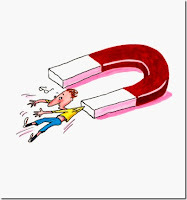 Great Leadership: Are You a Talent Magnet or Talent Poacher? Some companies consider it unethical and bad business practice to recruit out of a competitor’s talent pool. Others disagree, saying that it’s a legitimate and necessary part of doing business. I’m no expert in external recruiting, so I’ll leave that debate to the experts. However, what about the concept of “internal poaching”? What’s wrong with a manager hiring a star performer from another part of the business? I think it’s a matter of courtesy, protocol, and teamwork. If you’re a manager who has a reputation for treating your employees fairly and with respect, providing challenging development opportunities and meaningful work, and helping your employees achieve their career goals, then top performers are going to be more likely to want to work for you. That’s one of the rewards of being a good leader. You can attract and retain top talent. You’re a talent magnet. The best managers also don’t wait for a position to open up to start recruiting. They are always on the look-out for top talent and rising stars. That way, when something opens up, they can just turn to their “virtual bench” and start making calls. Positions get filled quicker, and you have had the benefit of getting to know and assess the candidate well before the formal interview process. Employees that work for these managers tend to get promoted as well, which again enhances the manager’s reputation as a talent magnet. So when does a talent magnet cross the line and become a talent poacher? Back when I was an HR manager, a very angry executive showed up in the office of the executive I was assigned to support. My exec was new to the company, needed a top engineer, and reached out and made an offer to a hot prospect from another business unit. He did it without talking to his peer first. In fact, being new, he had never even met this other exec. He found out that this engineer was right in the middle of a critical project, and transferring that engineer would put the company at risk. We were poachers. It was a painful lesson learned indeed. It was a source of friction between these two execs and it put the employee between a rock and a hard place. I’ve also seen this happen when management teams conduct talent reviews and/or share their high potential lists with each other. When one starts hiring from the other and not giving up anything in return, they get a reputation of being selfish and not to be trusted. If you’re going to talk to an employee about opportunities, you really should talk to the employee’s manager first. It’s considered common business courtesy. Most managers won’t block an employee from pursuing other opportunities, but they will always appreciate the respect you’ve given them. And you never know – there may be a legitimate business reason, or maybe even a performance issue that would make you reconsider. Now if you post a position, and the employee applies, then all bets are off. Yes, some companies have a policy that says an employee’s manager has to approve before the employee can apply. That’s usually just to make sure the employee isn’t going to waste the hiring manager’s time if they are not qualified, or if they are having performance issues, or haven’t been in their current position long enough. I know managers play games with this subtle difference. Sometimes, they will approach an employee first – and then try to cover it up by saying the employee made the first contact. You might get away with this once, but eventually it will catch up to you. When it comes to high potential pools – consider them like kind of a co-op. You need to put in as much as you take out. You can’t be greedy. What do you think? In the “war” for talent, is the concept of internal poaching outdated? Is “courtesy, protocol, and teamwork” just another way of describing “the old boy’s network”, or playing politics? Or should managers be expected to work as a team and look out for the greater good of the organization? Note: Inspiration for this post came from an exchange with productivity guru Laura Stack. A true leader must know how to channel talent within the organisation he heads. That makes him a respected figure amongst his managers and subordinates and turns him into a strong magnet for talent. The poacher type tends to "buy talent" mainly from outside, often causing frustration and upsetting the motivated workers. That's another way to look at the difference. Thanks. I think managers should give another manager a notice if they are going to take their employees away. I am never a manager, but I think it is a common sense. Because they are all in the same company, the relationship between department is important, too. So we all should try to respect others, make the company better without bad feelings. The idea of the virtual bench is one that most companies don't use all that often- but certainly should. Why not have a pool of people that are just waiting for the opportunity to work for you? It says a lot about your culture if you can actually put a great virtual bench together. Dan- What advice would you give to an employee who has been approached by another manager to join their team? What would be the most professional way to negotiate this process? This recently happened to me as an employee and I think it hurt my reputation because I was sought by a talent poacher (didn't know that the person was a poacher) and I tried to have an open conversation with my boss about the opportunity that was presented to me. I think internal “poaching” would simply be one of many signs of a poor manager, and someone I wouldn’t really want to work for anyway. While I think the standards for recruiting externally are completely different, internal recruiting should require a little class and respect for the “other” manager. I think that it’s a great point that if you are a quality manager, you will attract quality employees. Fairness, class, respect and a good track record will always keep you on the radar. You wont always have to go out looking for them- they’ll come looking for you. A leaders role is to facilitate the development of team members throughout the organization. As leaders we must ensure that we have the best interest of the employee at the core. If we create these opportunities and encourage our team members to seek challenging opportunities throughout the organization then we are assisting the organization in building a strong pool of talent. Courtesy is always important in any internal employee transaction so be transparent and keep other managers informed. A primary role of leadership is to facilitate the development of team members. Leaders must encourage development of their team members and this includes stretching into new roles. By assisting team members in growth and movement throughout the organization they can be instrumental in enhancing the capacity of the organization and its members. Increased organizational capacity and sustainability is established through its members. Leaders should always be courteous to other leaders within the organization by being transparent about the potential movement of team members. Sure, I think it’s part of every manager’s job to have a virtual bench. Thanks. I would have expected more to challenge the notion of “poaching”, but it looks like most agree so far. Dan, I am kind of torn as to what is right in this kind of situation. I have been a manager before and I feel like on the one hand I want talented people working for me, on the other hand I don't really want to burn any bridges to get those people. I have only worked in smaller corporations before so I'm not sure if the same applies for something larger. Maybe perhaps in a larger company, it can be appropriate at times to recruite people from other areas of the business. One may say it is fair since it is the employees decision to stay or to go. I think eventually the issue lies in the employees lap. They are the one who has to struggle with leaving for a better opportunity versus staying in something that has been the same all along. So maybe it is not the manager who has to decide but the employee. Well it is food for thought at least. Thanks for the post! This notion of internal poaching is quite interesting. 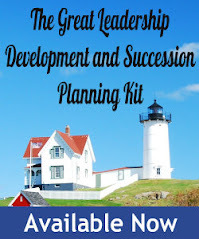 I have worked at my current firm for 3.5 years and have developed many working relationships and built a sort of succession plan with specific leaders (on a few of their virtual benches if you will). If I were to be poached after I have acquired many specific skills that my managers have allowed me to learn on their departments dine, I’m sure there would be some animosity and a tad of back stabbing in their minds. However, good leaders will realize that their good employees will strive for self betterment and would be willing to help transition the employee to the new position if they were notified beforehand. The notification is key for both respect of the manager and as well as for the employees reputation. If firms hire silo managers who only think about their department and not the organization as a whole, there are much bigger problems than internal poacher in my opinion. An interesting conversation. The virtual bench is a great concept. Great leaders always find a way to attract talent internally and externally. Their radar is always "on" and they are curious about what others are doing. As an external search consultants, we work to identify top talent whether or not we have an opening for them. We want to start a conversation that eventually, we hope, lets us place them in a position that is rewarding for the executive and the company. That conversation is one that leaders should be having with internal talent as well. The person who can be "poached" internally is looking for something -- and knowing what that something is will determine whether you attract the people you both want and need. Thanks. I've never worked for a small company, at least I haven't for a very long time. I suppose culture may play into it as well. Good points, from the viewpoint of a potential "poachee". Thanks. Thanks, I was hoping to get the perspective of an external recruiter. Good advice regarding getting to know what your virtual bench is looking for. Dan, you make a good point. Upper management needs to remember to think of the whole company as one team instead of each department being separate teams competing against each other for talent/success. Right, and it's easier said than done, even at the most senior levels. The poacher type tends to "buy talent" mainly from outside, often causing frustration and upsetting the motivated workers.